Congratulations to the winner, Mike, who posted a message on April 8th at 4:05pm. I am sorry for not posting these results sooner, my bad. COngrats to the winner and be on the lookout for more contests from newbiedm.com and Gator Games. I love Star Wars, and I love the idea of a SW roleplaying game. Why the idea? Because I have yet to actually play in a Saga campaign. I did play in a Gencon game, but that hardly makes for a full gaming experience of the system. That’s not to say that I’m not ready to go at the drop of a lightsaber, I have the Saga rulebook, a gm screen, some nice minis to get started with, some maps, and a real strong urge to play. So why haven’t I? Well, my 4e campaign is in full swing and I would hate to stop it to play something else. I don’t have enough free time to go around. 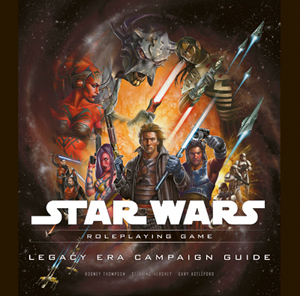 The Legacy Era Campaign Guide takes players and Gamemasters over a century after the Battle of Yavin to the dark future of Star Wars. Set during a three-way war between two factions of the Empire and the remnants of the Galactic Alliance, the Legacy Era is rife with great opportunities for adventures. The galaxy has once again fallen under the shadow of the Sith and the Empire, bringing about an age of tyranny not seen since Palpatine took control of the Republic. Sith Lords openly work for Darth Krayt, and the galaxy has been devastated by war. The Dark Times have returned with rampant crime, oppression, and violence. Mix the best of the classic trilogy with the exciting elements of this Expanded Universe period. 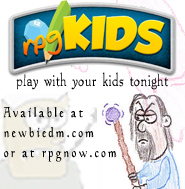 Contains adventure hooks and new character options. GMs can create campaigns that challenge the assumptions of the Star Wars Universe. All you have to do is leave a message here, making sure you left an email address so we can contact you if you win. You can also enter via twitter, sending both @gatorgames and @newbiedm a message telling us it’s for the contest. This contest for Star Wars: Legacy of the Force Campaign Guide will run until this Sunday night night April 11th, at 11:59pm eastern/8:59 pacific. This is actually one of the SWSE books that I don’t have yet, so count me in. Very cool, I have actually been thinking about a starwars game for a bit. I’ll post a picture on the site soon. http://www.3D-Dungeon-Tiles.com it will be a FREE download too. I really like Star Wars: Saga Edition (even a little more than WEG Star Wars). I’d been meaning to pick up the Legacy Era Sourcebook, but there’s always been something that come up that stopped me, so I’m definitely interested in this. I would love to have this. Please, please! I loved playing the d6 system, good times! I would definitely be interested in adding this to my collection. Thanks for the opportunity. Sweet, just started playing Star Wars with my group! Count me in for the contest. yay for star wars and for free rpg books pertaining to it! actually, i am currently dming a star wars saga edition campaign (my first time dming anything). it’s a pretty good system, despite how i think the force might be broken (but not beyond repair). if i were to play it again i would modify some rules (like adding skill points). and i do love star wars. it’s too bad wizards let go of the rights. I’m in for the contest! I love stealing ideas from genres I don’t play in. I’d love more material with which to build a Star Wars campaign. Thank you. Just let me know when you want my address, so you can send it to me. Sign me up! Winning things is the coolest. Sign me up for some Star Wars action. I would like to give this a whirl. Please sign me up. Sign me up. I rarely get to play RPGs. I have a ton of Star Wars Miniatures that could be useful in a SW RPG. Just getting back into to Saga Edition. Sign me up. Count me in! This is one of the Saga Star Wars books I don’t own. My son is a ridiculous Star Wars fan (he completely puts me to shame) and he has loved all the Legacy era novels he’s read. I’d love to run him through a campaign in that era. Must… win… copy! Woot for SW! I’m in, I happen to love the Legacy era setting! Oh, I’m all over this contest. i love the nice and easy contests of this sight. Thanks Newbiedm. Count me in. I love Star Wars and have all the Legacy comics too! And Star Wars d6 will always be my first SW love too. I’ve played or run every version of Star Wars RPG to date. I’d love to have this book for the next time I run it (which should be relatively soon). May the Force be with you, Newbie DM! Here’s hoping for a SW game. *Me crash landing a Sith starfighter into 11 stormtroopers, and making it my personal vessal, renaming it the Vendaxian Eleven. *One player giving up a RL date with a Brazilian-Japanese model so that he could get the powers of Exar Kun. *Another girl player guesting as a ditzy Duros and then convincing Imperials to make her commander of a Star Destroyer two adventures later. * Me flying a shuttle with an open airlock and using it to scoop up Emperor Roan Fel and his bodyguards as they get sucked out into space. I cut my RPG teeth on Star Wars D6 back in junior high. It’d be fun to go back into the setting. I think Star Wars D6 was the second RPG I ever game-mastered. Those were great games! Consider me in for this one! I would like to enter this contest please. Its been a while since I played the WEG Star Wars. It would be fun to see what’s new here. My son would love to play Star Wars. It would give him another reason to play with his SW minis. Oooo I want one! I am a big fan of Saga Edition, but it would be great to give the d6 edition a shot some day. Huh, a new (to me) Star Wars setting…looks like a blast. Sweet action!! more SW books are always welcome in my home. All right! I’m entering, and I’m going to check out Gatro Games online store.